Council Members serve many areas in Indiana. Click on the area above, the map to the left, or scroll down to find help in your area. We can provide you contact with various elder care services in the Gary / Hammond Area. Although this area is temporarily without a member to assist you we can still help you solve any concerns or problems you may have. Please contact the Indiana Care Planning Council by clicking on the link below. We can provide you contact with various elder care services in the South Bend Area. Although this area is temporarily without a member to assist you we can still help you solve any concerns or problems you may have. Please contact the Indiana Care Planning Council by clicking on the link below. We can provide you contact with various elder care services in the Fort Wayne Area. Although this area is temporarily without a member to assist you we can still help you solve any concerns or problems you may have. Please contact the Indiana Care Planning Council by clicking on the link below. Overview of services we offer: Financial Advisor, Elder Law Attorney, Estate Planning, Tax Planning, Medicaid Planning, VA Benefit (Aid & Attendance), Wealth Management, Annuities, Life Insurance, Medicare Specialist, and Funeral Expense Trusts. We can provide you contact with various elder care services in the Terre Haute Area. Although this area is temporarily without a member to assist you we can still help you solve any concerns or problems you may have. Please contact the Indiana Care Planning Council by clicking on the link below. We can provide you contact with various elder care services in the Evansville Area. Although this area is temporarily without a member to assist you we can still help you solve any concerns or problems you may have. Please contact the Indiana Care Planning Council by clicking on the link below. 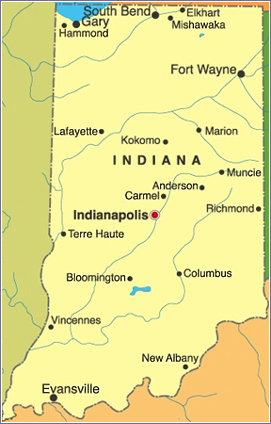 We can provide you contact with various elder care services in East Indiana. Although this area is temporarily without a member to assist you we can still help you solve any concerns or problems you may have. Please contact the Indiana Care Planning Council by clicking on the link below.